FollowMe is Trusted by Top Technology Providers in Global Defense | Industry Analysts, Inc.
Technology providers who work with federal organizations, have access to large volumes of classified and sensitive information. As a consequence they need to ensure all digital and paper based workflows are secure and meet relevant compliance requirements. The case study below details the necessary steps one global technology provider, with a workforce in excess of 30,000 people, has taken to control and protect sensitive data from possible print related data breaches. Following an extensive and enterprise-wide data security assessment, the IT department of a global provider of advanced space-based technology systems for national defense, recognized printing as a significant threat in their data security strategy. With thousands of employees sharing data and collaborating with customers and vendors across multiple locations, printed reports and documents were frequently found to be left on printers in unsecured environments. In addition, access to printing or scanning documents was not controlled or audited making potential data breaches difficult to detect. 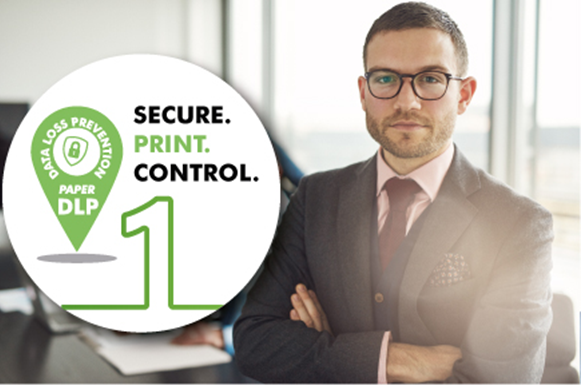 After a comprehensive evaluation, including a proof-of-concept trial, the organization selected FollowMe by Ringdale to protect, monitor and control their print activities. This entry was posted in Ringdale and tagged followme, ringdale by IA Staff. Bookmark the permalink.